As 2017 wraps up and we look forward towards a new year, we want to reflect on the incredible year we have had in the aged care industry. We would also like to congratulate and thank all our graduates this year! Embarking on training in the aged care industry is admirable and requires effort, time management and commitment. We have seen this in droves in each of our Royal College graduates. And it has paid off — 70% of our graduates from Ashmore Multicultural Communities Council Gold Coast have gained employment! Ashmore Multicultural communities council is a key service provider to the increasing migrant, refugee and new international arrivals population of the Gold Coast, the Multicultural Communities Council Gold Coast Ltd (MCCGC) is the peak regional organisation serving the needs of multicultural residents through its Community Development team, CÜRA and Simply Caring Australia branches. It is a pleasure to partner with them to deliver training under the Skilling Queenslanders for Work initiative and to achieve such incredible outcomes. Multicap is an organisation that provides a large variety of quality services to people with a disability and who are very innovative and an industry leader. Royal College and Multicap have a strong relationship. Pamela Mitchell was the Trainer and Assessor for this group, Certificate III in Individual Support (disability stream), who worked very hard to facilitate learning, provide student guidance, personal development and support to a very diverse group of students. The photo below is of the students who received an invitation to Multicap’s first staff Ball where they were awarded their certificates. We can’t congratulate graduates without thanking and applauding our exceptional Royal College trainers. Undertaking training is a challenge, and it can be particularly challenging for some of our students for a variety of reasons. Whether it’s individual circumstances, personal health, time constraints, our trainers go out of their way time and time again to ensure students have the personalised support they require to complete their training. Our trainers showed amazing dedication to students this year who almost admitted defeat after finding certain aspects of their course very difficult. But with support, guidance and a team behind them they were able to work through at their own pace and succeed. With all the hard work we’ve seen from students, trainers and everyone involved in Royal College, it was a nice treat to be featured in the December issue of Townsville publication ‘DUO Magazine’. Our CEO Chris Lugg and trainer Tracy Croucher talk about their passion for their work with the aged care industry and its current and future employees. You can read it here (we’re on page 37). 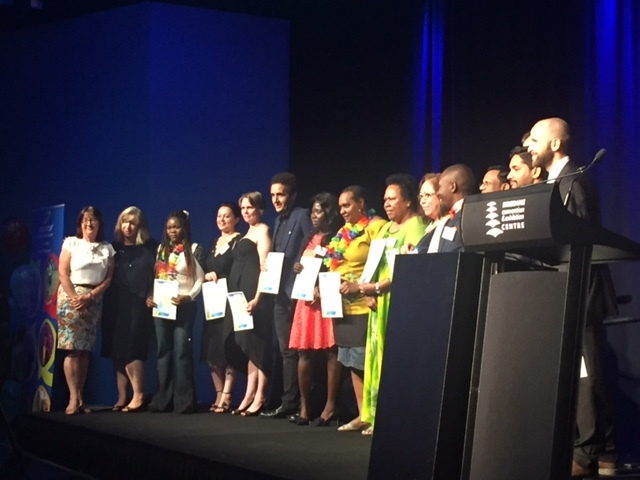 Next year represents another opportunity for us to continue to deliver the highest quality training possible to the aged care industry and its professionals. We look forward to supporting many more students on their aged care career journey in 2018.